Most all distilleries have several different type of warehouses. Some have elevators, some escalators, and some use fork lifts. A traditional elevator house is the most traditional, and the most labor intensive. The barrels are stored and pulled from barrels set in a rick by a crew of up to 5 people by an elevator for an elevator house. It takes a couple less folks to do the same in an escalator house, and only 1 for a palletized house. The diagram here shows just what’s going on in a traditional 9 story rackhouse which holds 20,000 barrels (roughly 1 million gallons of bourbon). Most all barrels are stored at an entry level of 125 proof. is very hot and dry, the water molecules escape much faster than the alcoholmolecules thus driving the proof UP in those barrels and concentrating the flavors. Barrels at the top of a rickhouse age at an accelerated pace. that drives the proof DOWN in those barrels. Barrels at the bottom of a rickhouse age at a slower pace. The barrels at the top of the rackhouse (floors 7-9) are located where it is hot and dry, water molecules escape eaiser driving the proof in those barrels up to around 145 at the very top. Barrels in what Booker Noe called the “Center Cut” stay more constant varying just a little bit in those floors where you don’t have those extremes. So you can see in the diagram that there are 3 barrels on each floor – we call those the one high, two high, and the three high. With 9 floors in the rackhouse that makes 27 barrels tall. Look how the proofs vary from floor to floor. Barrels on the inside of the house age differently than on the outside as well, since the barrels on the outside get more heat closer to the walls. So where you put the barrels effects those barrels in different ways. Some distilleries use the location of the bourbon in the rackhouse as their small batch. At Jim Beam, Baker’s Bourbon goes in mid high and high storage. That’s why it has a big bold flavour and a totally different mouth feel. Booker’s goes in to the Center Cut. Basil Hayden’s and Knob Creek is more Mid Low to Mid High not touching the bottom couple floors or the top couple floors. Many barrels are mingled together for a small batch so that those have a consistant taste from bottle to bottle and batch to batch over the years. A single barrel (Knob Creek Single Barrel Reserve) is from only one barrel at a time. So you can see that if we bottle all the bourbon from the two high on the third floor – and the next barrel all the bottles come from the one high on the 6th floor – those will taste different! At Buffalo Trace, they have wood and tin rackhouses, brick, and concrete block rackhouses. Bourbon ages differently in each type of house, so they put certain bourbons in certain types of houses, and thats what makes up the differences in their small batch and single barrels. Confused of what the differences bettween small batch and single barrel? I’ll make it simple. A better way to picture it is lets say I sent you 3 barrels of bourbon (which you’d love me to do) and I asked you to store a barrel in your basement, one on your main floor, and the third one in your attic. If your air conditioning goes out in the dog days of August where are you likely to go hang out til it’s fixed? The basement right? Where it’s moist and cool even on the hottest day. That same day, it might be 140 degrees on the top floor. So if you didn’t turn on your a/c or your furnace on for 12 full years and had those 3 barrels of Elijah Craig aging there the whole time, do you think that over those 12 years that when we tasted bourbon from those barrels that they might taste a little different from each other if they all starting out exactly the same 12 years before? Of course they would – and that’s single barrel. If we mingled those same 3 barrels togher in one small batch and did that each time can you see where those will level out and taste similar to each other from bottle to bottle? BINGO – That’s the difference between small batch, and single barrel bourbons. 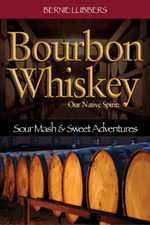 Now you know a LOT more about aging, rackhouses, and bourbon than you did 5 minutes ago! Nice job, but you jump back and forth with the term “rackhouse” and “rickhouse”. Seems like a clarification is needed. Fair enough….they are called both here actually…. I’ve read your book and plus the articles you’ve put on line. Bernie you’ve obviously put a ton of hard work into this and you have clarified a great deal for me. Thanks for the kind words, and I’m glad you enjoyed the book and the articles. Keep checking back, I’ll keep posting! Let me ask you this Bernie. If you had just one barrel of bourbon where in the rack house would you lay it. Up high or down low where the temp is more moderate? I tend to like the barrels from the higher floors. It ages faster up there, and adds alot of flavor. For whiskey thats 12 years or less, I like it from up high. After that age though, gotta start coming down, the wood starts to over power the whiskey for me after 12 years or so up high, but not as much on the lower floors. What is the name given to the smells you smell when stepping into the warehouses? Was it angel spirits? When we visited, those smells were amazing. That’s called “The Angels Share” what you smell that’s evaporating. We lose an average of 4% each year. Lucky angels. You really don’t know where it comes from when you’re buying it. There are a couple hundred or so barrels involved in what we all call a “dump” of barrels, so that usually comes from a range of floors. The top floors more often than not do concentrate the flavors more, but too much of a good thing sometimes isn’t the better flavor profile…a mingle of barrels from certain floors makes the bourbon more complex, and have great flavor…so it just depends on the brand. 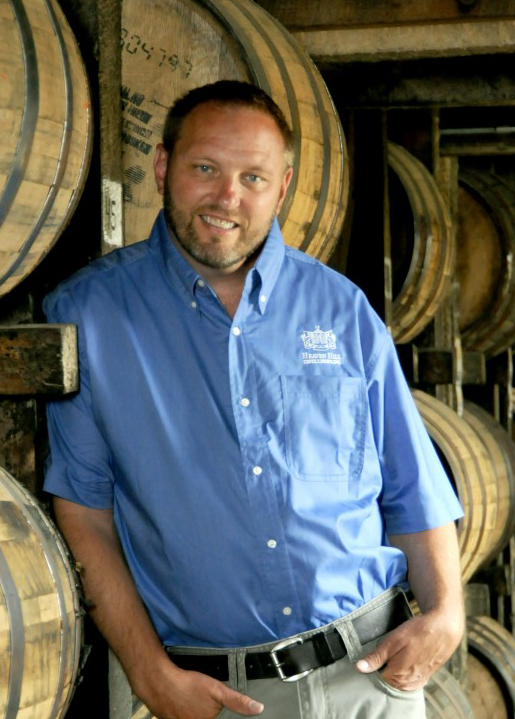 If it’s a single barrel, it would come from one floor, but that isn’t disclosed on the label. There’s only so much you can hand write on a label. Look for the words SMALL BATCH, and see which ones you like, and then you’ll have a consistent flavor profile and know what brands you like to buy.